Al-Anon has an extensive list of books (hard back and soft back), pamphlets, packets of information for newcomers, posters, etc. If you are not familiar with the literature, talk to people in your Al-Anon group about what literature they find helpful. 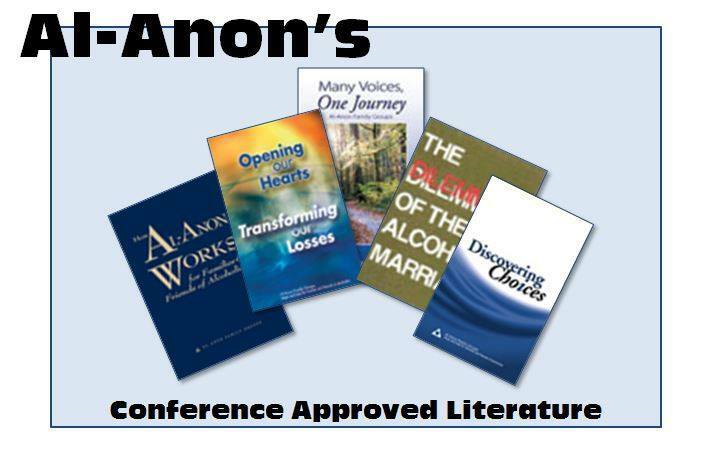 You can now order literature from the Al-Anon and Alateen World Service Office, either on line here, or by downloading a literature order form here (Adobe Acrobat pdf file). Al-Anon Literature may also be available for loan at your local library. Please call or visit them for availability.